For more than a decade, KETT Cosmetics has supplied the professional makeup industry with products that challenge the unforgiving lens of the high-definition camera. By developing their products in a lab and using hi-def cameras as a microscope, KETT created a line of highly effective foundations, liquid pigment and setting powders that provide long lasting, flawless coverage with the flexibility to create endless looks. 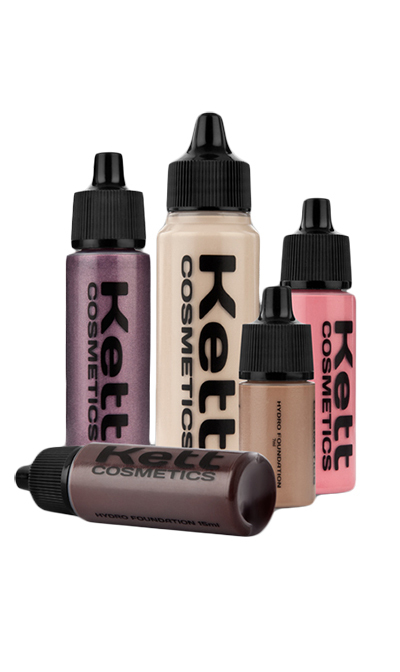 Distributed in over 20 counties, KETT Cosmetics has developed a cult following among professional makeup artist, celebrities and the makeup maven with the KETT Hydro Foundation to the KETT Sett Powder. What began in 2000 as a niche brand for professional makeup artist in the film and television industry has transformed into a crossover collection of cosmetic products and airbrush equipment.